Considering Dental Implants in Waco? Get the 411! When you’re looking to replace your teeth with dental implants in Waco, you need not get anxious or fear dental pain. Every dental experience with your dentist should be a positive one—especially when you’re working towards replacing missing teeth. If you’re considering getting dental implants to replace missing teeth, you may be wondering what you can expect. Let’s take a closer look at dental implants and the process of getting them. Thanks to the advancements we’ve made in dentistry, dental implants look and act like natural teeth. Your dentist can replace both the root and the crown of missing teeth to restore oral health. The actual dental implant is a tiny titanium post that’s placed into your jawbone. This implant acts as your natural tooth root. It helps to restore the health and function of your jawbone. Titanium is a metal that is biocompatible, meaning that your body can adjust to it in the most natural way with a process known as osseointegration. 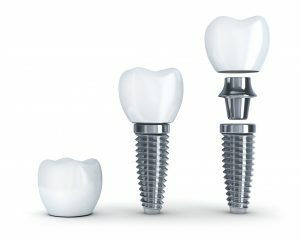 The first step to getting your dental implants would be to meet with an implant dentist in Waco. Your dentist must first determine whether your jawbone is strong enough to anchor your dental implants. The next step is surgically placing your dental implant posts within the jawbone. You don’t have to worry about a painful or unpleasant oral surgery process when visiting your Waco dentist. Dentists will use local anesthetic along with sedatives and pain medication for after your surgery to help each surgery run smoothly as possible. After your implants have been placed, your jawbone and gums will naturally fuse to your implant. Your dentist will be there for you throughout the whole process, including the designated healing period. Once your body has adjusted to essentially your new teeth, you will return to our office to attach the prosthetic teeth. It’s pretty simple! Ability to blend well with the rest of your smile with tooth-colored restorations. Does the possibility of having a beautiful, full smile excite you? Imagine eating, speaking, and smiling confidently again. The truth is that dental implants can do that for you! Dr. Cofer is an Irving, TX local who obtained his dental degree from the Baylor School of Dentistry. Since graduating, he has completed nearly 200 hours of continuing education dedicated solely to implant dentistry. This makes him the best dental expert in the Irving area to complete dental implant procedures. If you would like to speak to Dr. Cofer about replacing your teeth, feel free to contact our office by calling (254) 382-0619.
by: Dr. Rick Cofer at October 11, 2017 . Comments Off on Considering Dental Implants in Waco? Get the 411!